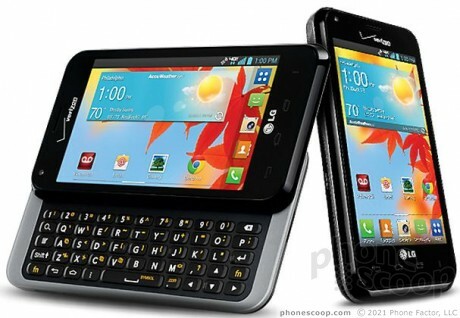 Verizon Wireless today began selling two phones from LG on its web site. The LG Enact (pictured) is a sideways slider Android smartphone and the LG Exalt is a basic flip phone. Both phones are available online. Enact: This QWERTY-equipped smartphone features a 4-inch, 800 x 480 display; 5-megapixel camera with 1080p HD video capture; dual-core 1.2GHz Snapdragon processor; and LTE 4G, Wi-Fi, GPS, and Bluetooth 4.0. It includes a handful of LG applications, including QSlide apps and QuickMemo. The Enact costs $19.99 with a new two-year contract. Exalt: The Exalt is a feature phone that has a 3-inch display, 2-megapixel camera, Bluetooth 3.0, basic web access and messaging apps, and support for microSD cards up to 32GB. The Exalt is limited to Verizon's 1X network. It costs $79.99 with a new two-year contract. You should play around with the moto x or the droid mini. Bigger screen but small phone format. Its pretty awesome.